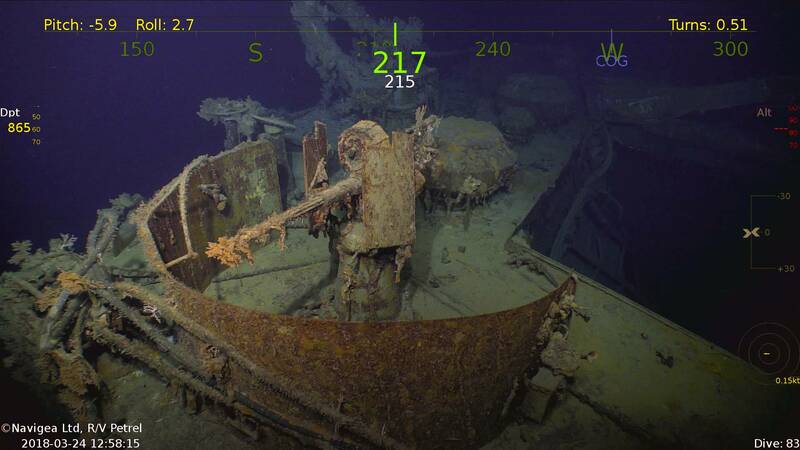 The USS Helena (CL 50) is the latest in a string of historic shipwrecks discovered by Paul G. Allen’s expedition crew aboard the state-of-the-art research vessel Petrel. 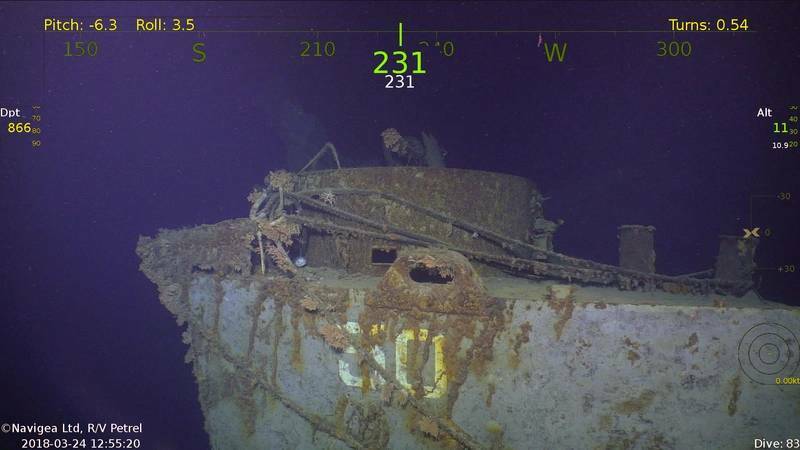 The U.S. Navy's storied St. Louis-class light cruiser began her World War II service at Pearl Harbor and took part in three significant battles during the Solomon Islands campaign before being sunk by Japanese torpedoes on July 6, 1943, during the Battle of Kula Gulf. 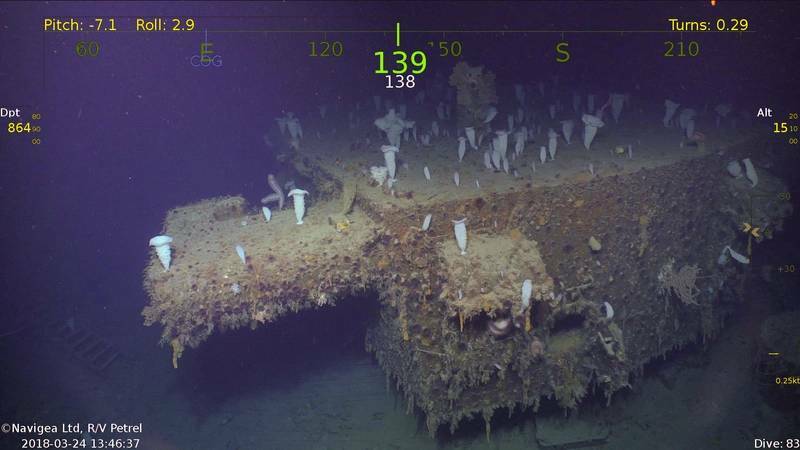 All but 168 of Helena’s 900 crew survived the sinking and eventual rescue. 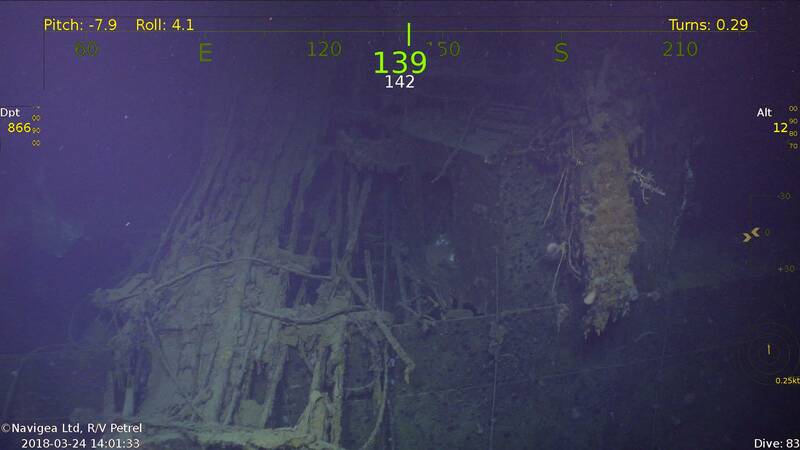 Allen's team found the wreck 860 meters below the surface in the New Georgia Sound off the coast of the Solomon Islands. 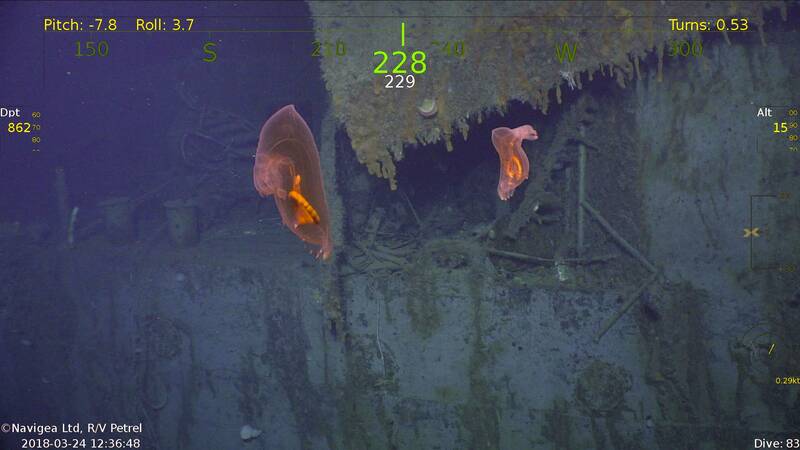 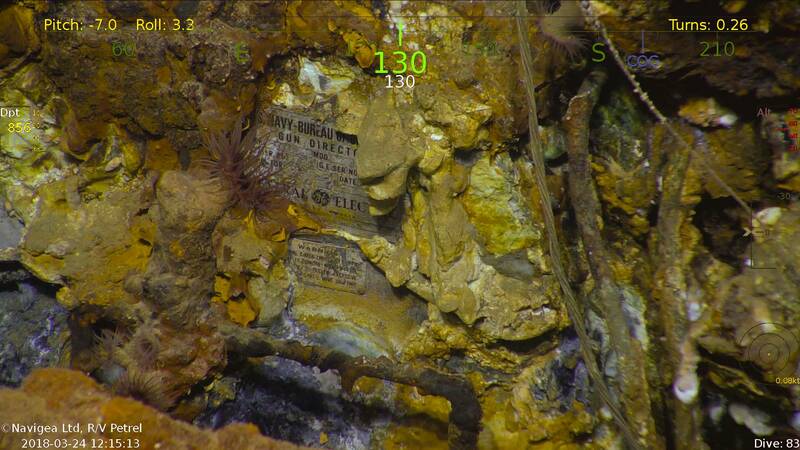 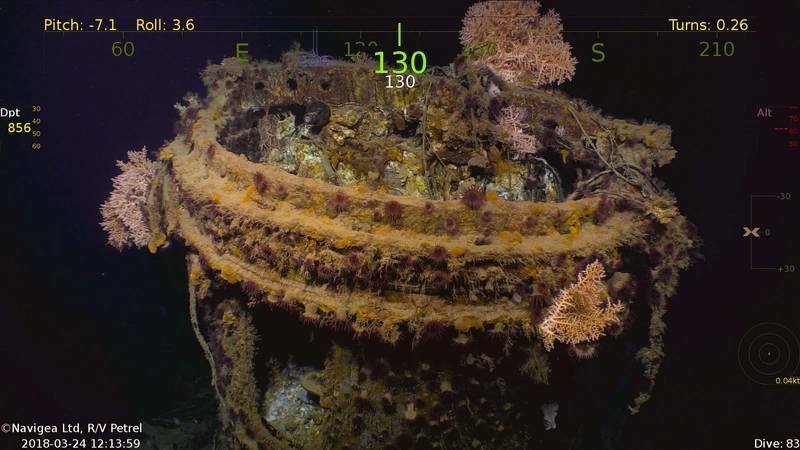 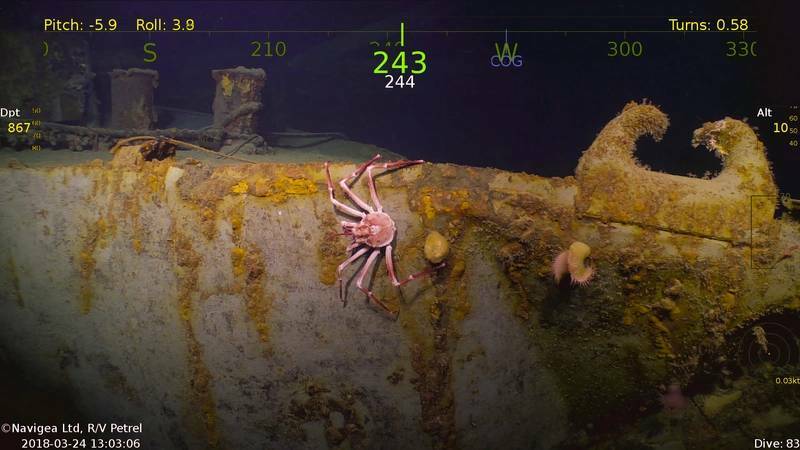 The Petrel crew, who found USS Helena in late March, has discovered more than a dozen other lost naval ships, including the USS Indianapolis, USS Ward, USS Cooper, USS Lexington, USS Juneau and several Japanese warships.